True Grit meets The Road in this postapocalyptic psychological thriller--narrated by a young girl who has just learned that her adopted father may be a serial killer, and that she may be his next victim. 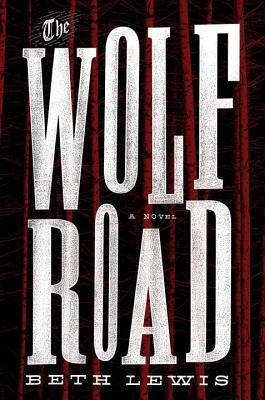 The Wolf Road was recommended to me by a friend on Goodreads because I love, LOVE post-apocalyptic survival stories. Although the True Grit comparison did scare me a little bit at first, I was really excited to jump into this book and find out more about the characters and world this author had created. Elka is a terribly unreliable narrator and she isn't especially likable, although she does become easier to sympathize with as the book progresses. Orphaned at a young age, she was found and raised by Trapper, a man she met in the forest who taught her everything she knows. She knows how to hunt and survive in the woods and avoid people. Trapper is her entire life and is the only person she knows how to interact with, so whenever she has to go on the run her life is turned upside down, especially when she realizes she's the one being hunted now. Although Elka isn't my favorite protagonist of all time, I think it's fair to point out that her character development is some of the best I've seen. At the beginning of The Wolf Road, she doesn't even know what her real name is and doesn't want anything to do with anyone other than herself and her wolf. Without giving away anything, by the end Elka has come to an incredible amount of realizations about herself and Trapper, causing her to completely reevaluate her life and everything she has ever experienced. The story itself was nothing like what I expected. Although this is marketed as post-apocalyptic fiction, there is really not much to set it apart from any other survival story. Apart from the occasional reference to the "Damn Stupid," which apparently sent the world (or at least the country) into chaos, what I assume were tornadoes called "thunderheads," there wasn't anything that made this feel like post-apocalyptic fiction. Instead of feeling like I was reading a book set sometime in a post-apocalyptic future, it felt like stepping back in time. It honestly seems like the post-apocalyptic bits could have been added in as an afterthought for marketing reasons. Another issue I had with The Wolf Road was the pace - it was incredibly slow. Elka's journey was interesting, but the majority of the book consists of her walking through the woods, hunting, and talking to a wolf. It does pick up towards the end, but this was one that I definitely would not have made it through if I hadn't been listening to the audio. The unraveling of the mystery of Elka's past was fascinating and I saw it through to the end to see what the big twist would be, but I expected a much faster pace from this story. I honestly expected to love this book, but I was not expecting a Western. I did enjoy the mystery and the thrill of what would happen between Elka and Trapper! I also really liked watching as Elka grew as a person and (obviously) I loved the wolf! Unfortunately, I was expecting more of a post-apocalyptic thriller and just couldn't love this book in the end.